I love to travel and squeeze as places as much as I can in between work, during the weekends, frequent shutdowns or a long vacation. I enjoy the places I travel to, and my latest trip Delhi sightseeing had been a memorable one. To many, the city is the heart of the nation, and is a must-see city for every tourist. The city is known for large-hearted people and makes you feel like home. 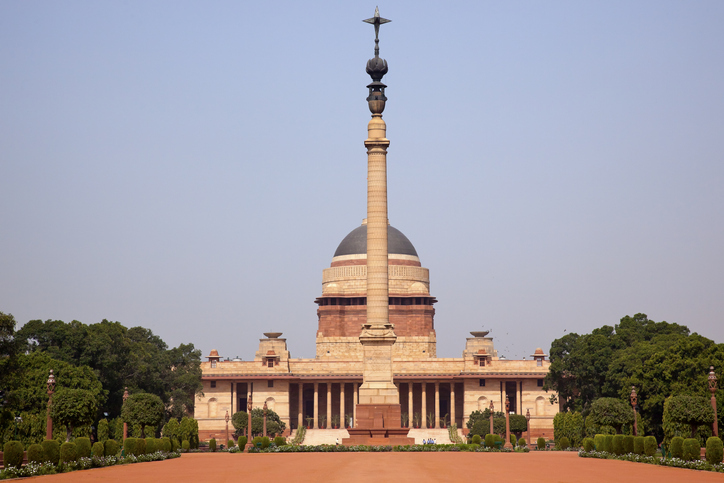 Delhi has a lot to offer for first-time tourists. Right from its old architecture to the many other different beautiful tourist destinations, it is proudly known as the city of history and culture. 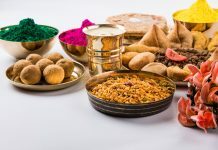 Delhi, the city which is a conundrum for historians and tourists; a city known for its delicious delicacies, which gives you an opportunity to walk back to the era of Mughal emperors, and one that is a political hub of India. My trip to India’s national capital has been an enthralling one! I visited Delhi while the city was in the middle of a raging hot summer (although we managed with the AC whenever possible). My Delhi sightseeing tour started early in the morning, as I was advised to finish my sightseeing before the sun became stronger. I chose to hire a cab for a day, which was super convenient in the Delhi summer. While I ended up in traffic sometimes, leaving early meant that my cab driver could avoid the rush hour. My first stop while Delhi sightseeing was the Rashtrapati Bhavan (the official home of the President of India that located at the end of Rajpath). The cab driver drove straight up to the main entrance of the building but of course, we couldn’t park here. You need to have a visitor pass to enter. This place has a modern yet classic architecture, with Mughal-style gardens that are well manicured with beautiful flowers and green grass. The gardens demanded a long walk though they were very crowded. It took me an hour to walk along the entire path and head back. Next, we drove to the Jama Masjid (one of the largest mosques in India built by Mughal Emperor Shah Jahan in the 17th century) weaving through narrow crooked old-Delhi roads. I was dropped at the steps near the entrance. The courtyard at the Jama Masjid has huge doors and beautiful corridors all around. I visited during the prayer time and hence had to wait until the prayers were done. Until then, I just sat and relaxed, taking photos of the courtyard where there were a lot of white pigeons. Also, you get a very clear view of the Red Fort from the corridors. 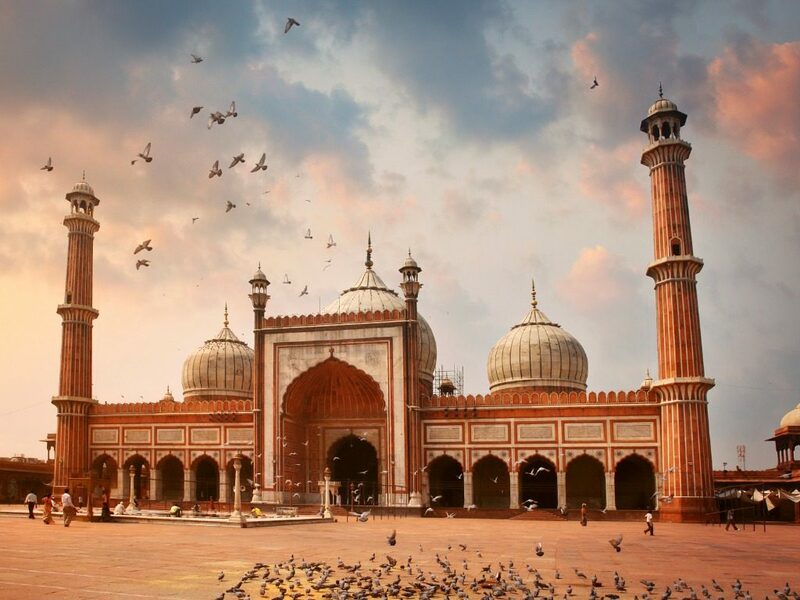 The Jama Masjid was truly a good reminder of the magnificence of Mughal architecture. After the glimpses of the marvellous Red Fort from the corridors of the Jama Masjid, it was finally time to visit. It is located very close to Jama Masjid, and was also built by the Mughals. After getting the tickets I headed towards the main entrance, where the beautiful Indian flag, or ‘Tiranga,’ atop the Red Fort gives you a warm welcome. You cross a narrow alley lined with many small shops and there you are at the main courtyard. I hired a guide for my tour as I was very interested in knowing all about its history. Scores of people visit this historic monument every day. Moving through the area, I took some pictures of the important buildings inside the fort like the Diwan-e-Aam and Diwan-e-Khaas. There were we at the end of the day after getting through some magnificent architecture and monuments of Delhi. Our last stop of the day was at India Gate, a memorial located on the Rajpath. 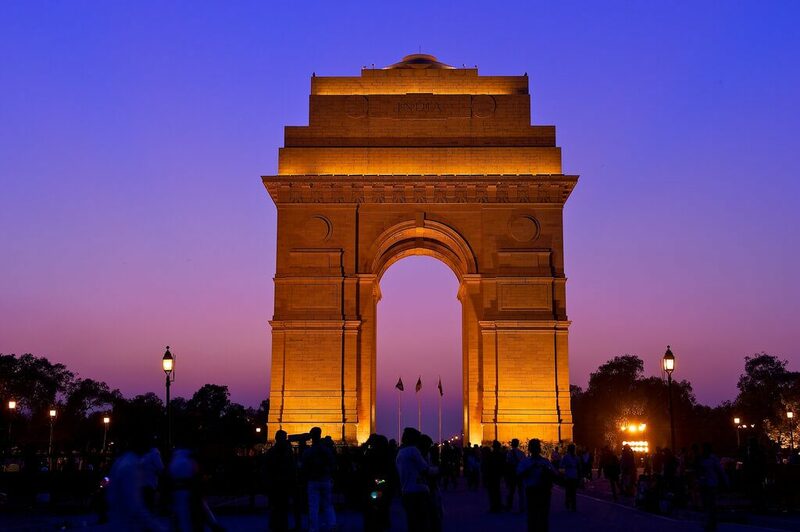 I asked the cab driver, why he took me to India Gate in the late evening, and he promptly answered that it looks very beautiful in the evening light. So, there we were at the India Gate. I had been here when I was only two years old and I couldn’t properly remember how India Gate looked like then. But, now it was just beautiful! You can walk up to the Amar Jawan, a memorial to the soldiers lost in war. The snack shops in and around the area are just lip-smacking. Don’t forget to enjoy the pakodas with green chutney, they are just delicious! After India Gate, it was time for me to return to the hotel. There fed my hungry stomach and went to sleep tired and exhausted. I can’t forget the first beautiful day of my Delhi Trip, it was just best!